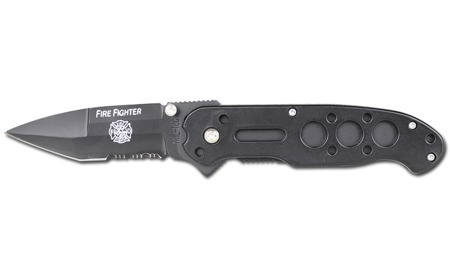 Manufactured by Mil-Tec company copy of Fire Fighter knife used by American firefighters. The blade is partially serrated which greatly facilitates cutting ropes, belts and smooth surfaces. 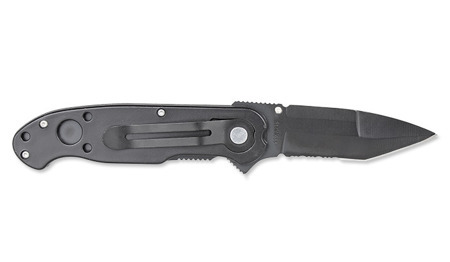 The blade is opened with thumb notch placed on left side of the blade. Against accidental closing of blade protects Liner Lock. Handles are made of durable composite in black color. 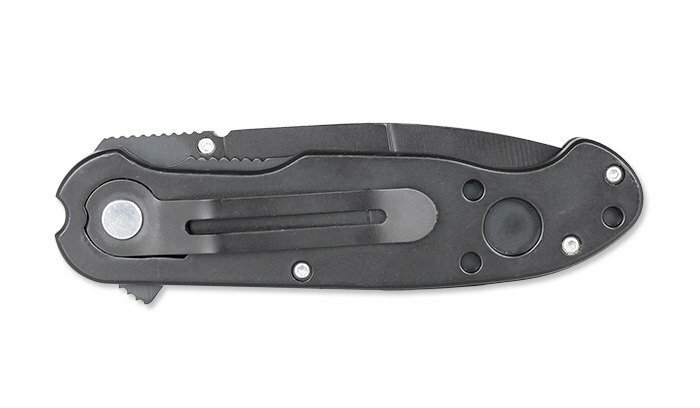 Steel clip allows attaching of knife to the edge of a pocket or belt.